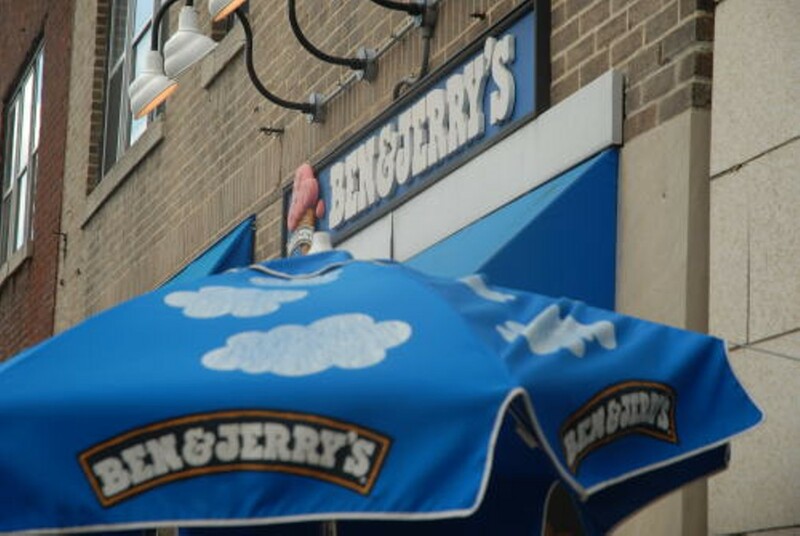 Voice Places is your guide to Ben & Jerry's in St. Louis. The brainchild of two self-proclaimed Vermont hippies back in the 1970s, Ben & Jerry's has grown into a worldwide ice cream empire. Despite being bought out by megacorporation Unilever in 2000, the brand has remained true to its crunchy roots by supporting various causes such as campaign spending reform and even the Occupy movement. Its scoop shops serve up all the B&J's classics, from wacky flavors named for jam bands (Phish Food and Cherry Garcia) to newer creations like the Stephen Colbert-endorsed Americone Dream, plus sundaes, shakes, smoothies and coffee drinks.